A rise in plastic food packaging is failing to reduce Europe’s growing food waste problem, and in some cases may even be fueling it, according to pioneering new research. Plastics smothering our food: Plastics are the most widely-used material in European food retail, covering 37% of food sold. In the UK, over one quarter of the avoidable food thrown away each year is thrown away still in its packaging, either opened or unopened. 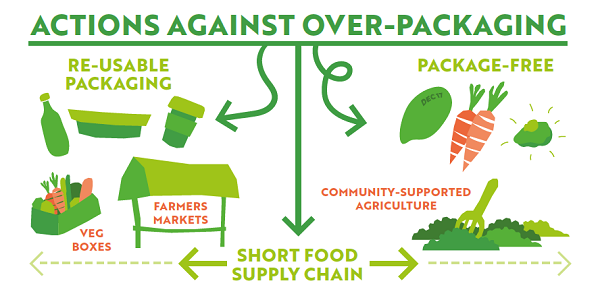 Unpopular and unwanted: there is strong public opinion to stop overpackaging: 79% of consumers in the UK agree that food products sold by retailers are over-packaged and 76% of Germans say they prefer their fruit and vegetables package-free. Burnt, landfilled or littered: Europeans, on average, throw away more than 30kg of plastic packaging per person per year. 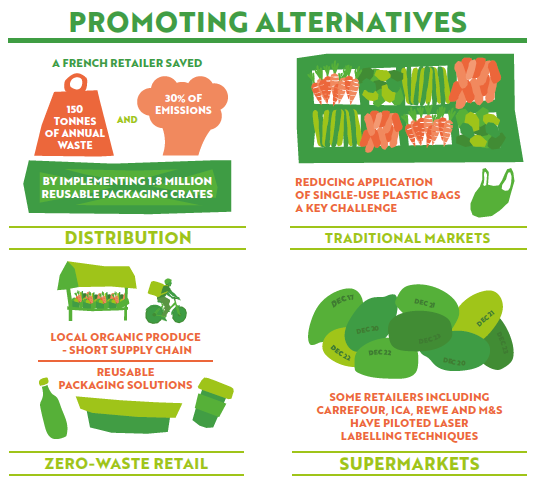 The majority of plastic packaging is used only once, with 95% of its value lost to the global economy after this first use (worth an estimated €100 billion annually), and most of this goes to landfill or is incinerated. Beach litter: plastics make up 85% of beach litter worldwide, 61% of which are single-use plastics and mostly linked to the food industry, such as crisp packets and sweet wrappers, food containers and cutlery. Wasted food, wasted money: Food waste is major failure of our economy. 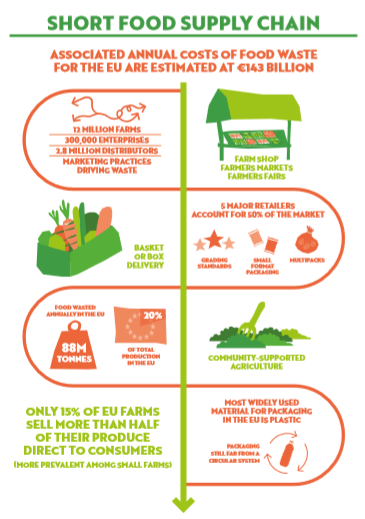 An estimated 88 million tonnes (173 kg per person) of food is wasted each year in the EU – about 20% of the total food produced in the bloc. The cost of this was estimated at €143 billion in 2015, equivalent to the EU’s annual operational budget. 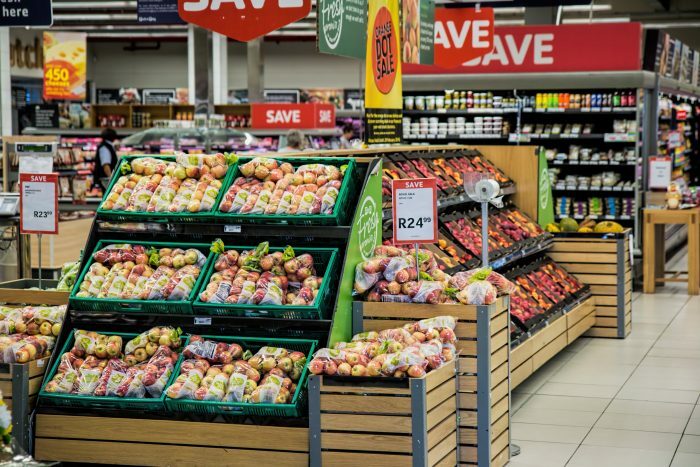 Pre-determined packaging formats and sizes restrict fresh produce deemed suitable or desirable for retailers, leading to edible food being rejected and thus driving food waste. For example, the practice of top and tailing green beans to fit a certain packaging size resulted in 30-40% of the beans being wasted. Multi-packs increase the possibility of food waste by restricting choice and forcing consumers to buy more. For example selling citrus fruits, onions and garlic in plastic mesh nets, and bananas and potatoes in plastic bags, have been shown to cause consumers to buy more than they need. Contract requirements for a minimum number of items rather than a minimum weight cause further food waste, with producers trimming vegetables to fit a greater number into the crate. The environmental impacts of plastics are systematically underestimated in decision-making for food packaging design. The most commonly used tool for analysing food packaging is the Life Cycle Assessment (LCA), which tends to simplify the drivers of food waste and overstate the benefits of plastic packaging. Studies tend to focus on carbon emissions as the key environmental impact, and ignore the impact of plastic pollution in the environment. When the end of life is considered in the studies, fixed levels of recycling, incineration or landfill are assumed, not reflecting the reality on the ground where recycling levels are hugely varied and usually extremely low, and that a substantial fraction of plastic packaging ends up leaked in the environment. This results in the design and use of lightweight plastic packaging which is impossible to reuse or recycle, such as plastic sachets and multi-layered plastics, thus furthering plastic pollution. Yet this tool forms the basis of much lobbying by the plastics industry, and is being used by the European Commission to underpin part of its new set of measures to tackle plastic pollution – including using LCAs to assess bio-based plastics, biodegradable and compostable plastics, and the impacts of replacing single-use plastics, as stated in the recently-published Plastics Strategy. The headline issue will be a proposed law to reduce single-use plastics, expected by mid-May. It will tackle the ten most-littered single-use plastic items – including plastic straws, plastic food containers, and plastic cutlery – through a range of policies including reduction targets, improving product design, incentivising high waste collection, and using non-plastic materials to manufacture them.